This biscuit was made by one of Quirky’s sisters. 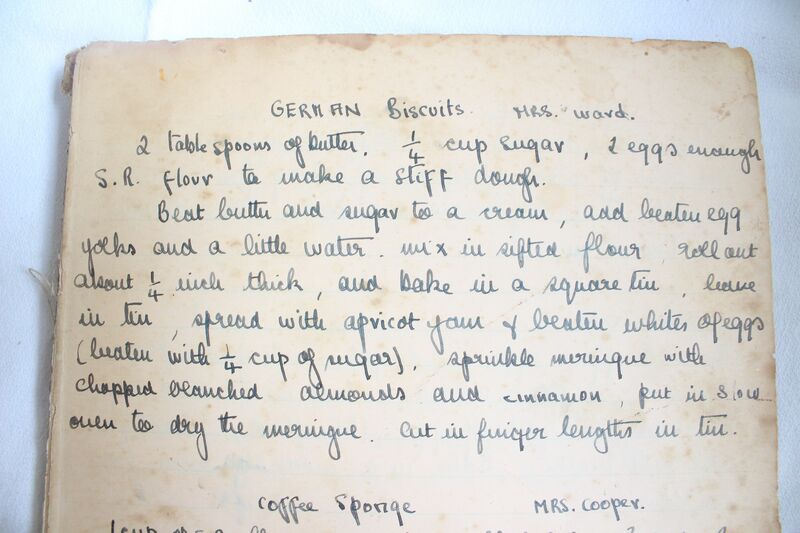 It is a fondly remembered recipe from the childhood of Quirky’s sisters. 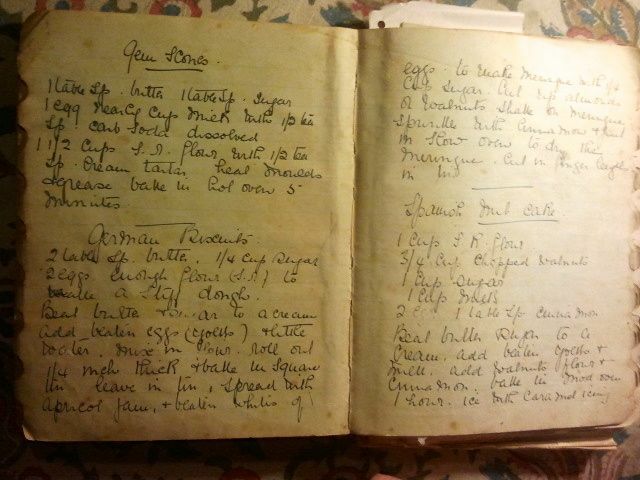 We have discovered almost identical recipes in the handwritten recipe books belonging to our mother and to our grandmother. 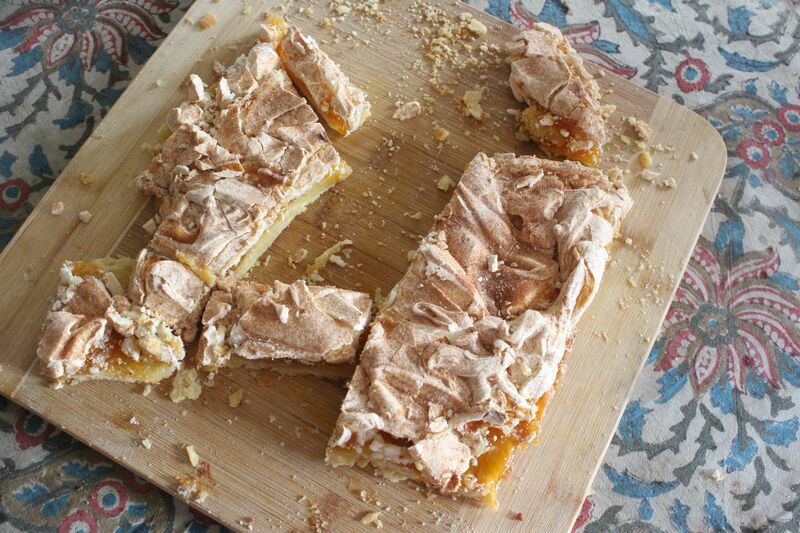 The biscuit, whatever its origin, is delicious, with its apricot jam filing and delicate meringue topping. Cream butter and 1/4 cup sugar in a food processor. Add beaten egg yolks and a little water. Mix in sifted flour. Roll out to about 1/4 inch thickness and place in a greased square cake tin. Bake for about 15 minutes at 160 degrees C or until biscuit is cooked. Remove from oven. Spread the biscuit with apricot jam to cover. Beat egg whites until stiff, then add the remaining 1/4 cup sugar, beating mixture until of meringue consistency. Spoon the meringue over the apricot jam, creating rough peaks. Sprinkle with chopped blanched almonds. Bake in a slow oven (130 degrees C) to dry the meringue. Remove from oven and when cool cut in finger lengths in tin. 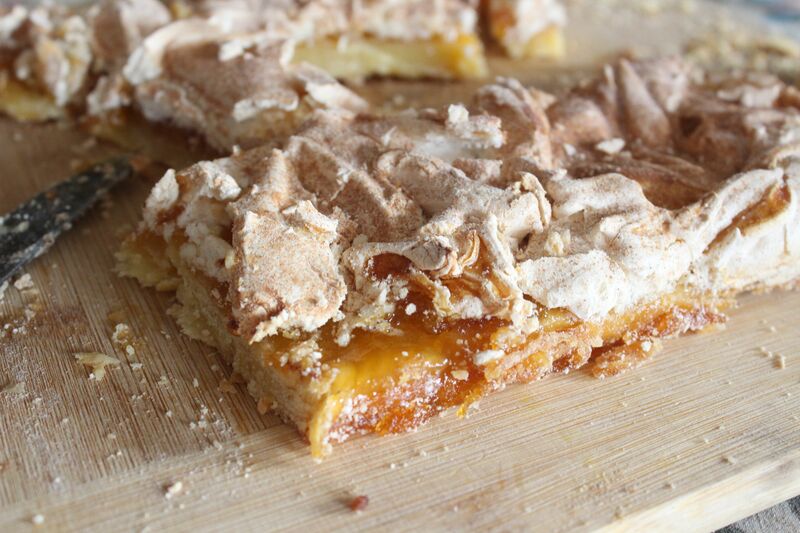 Posted in Biscuits and Slices, Sweet Food and tagged apricot jam, biscuit, blanched almonds, meringue. Bookmark the permalink.